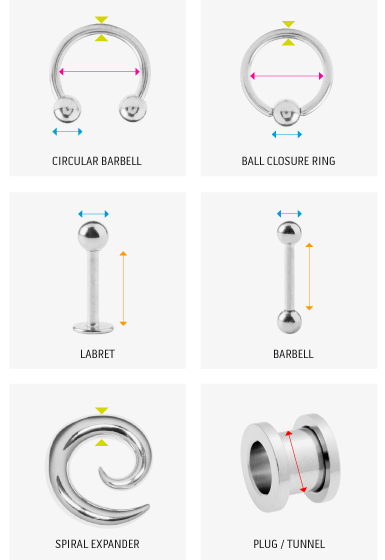 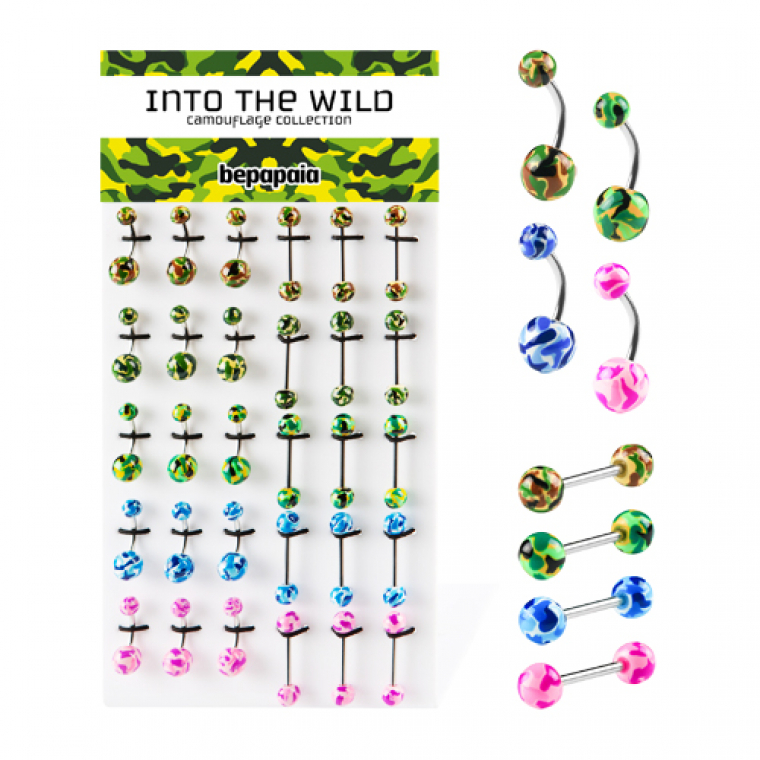 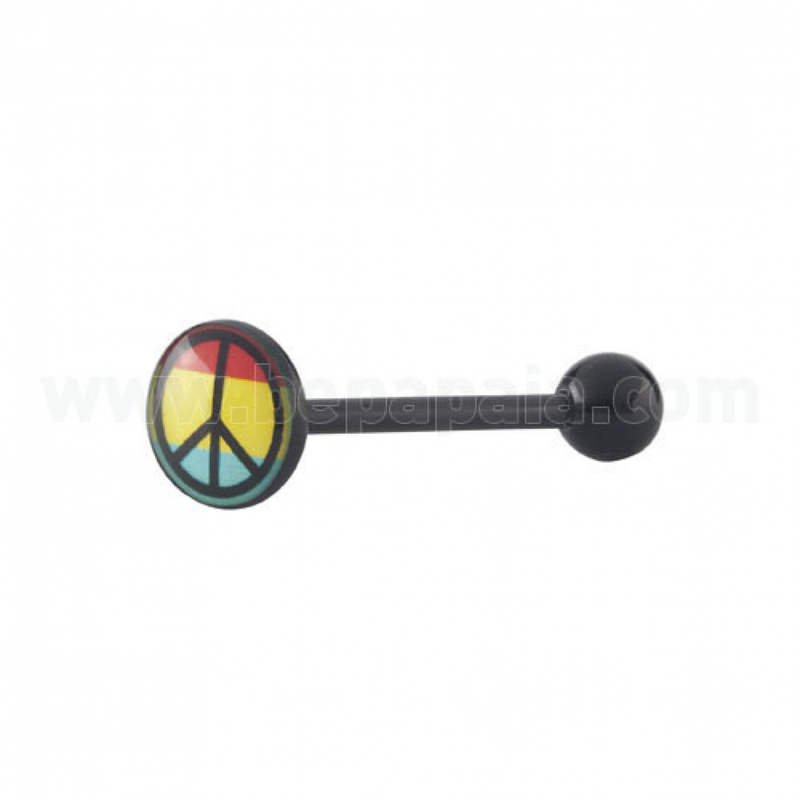 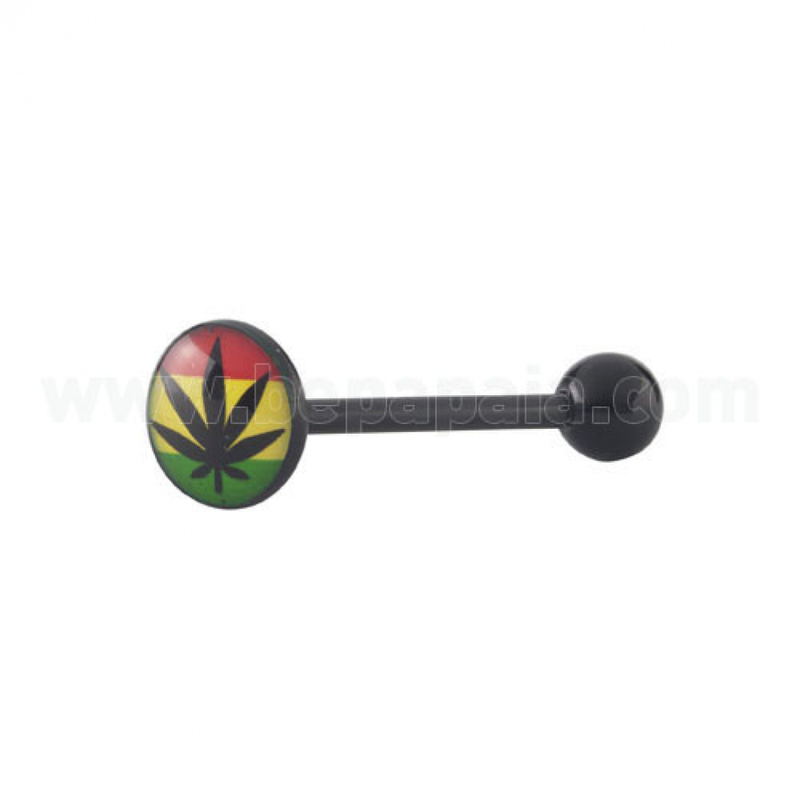 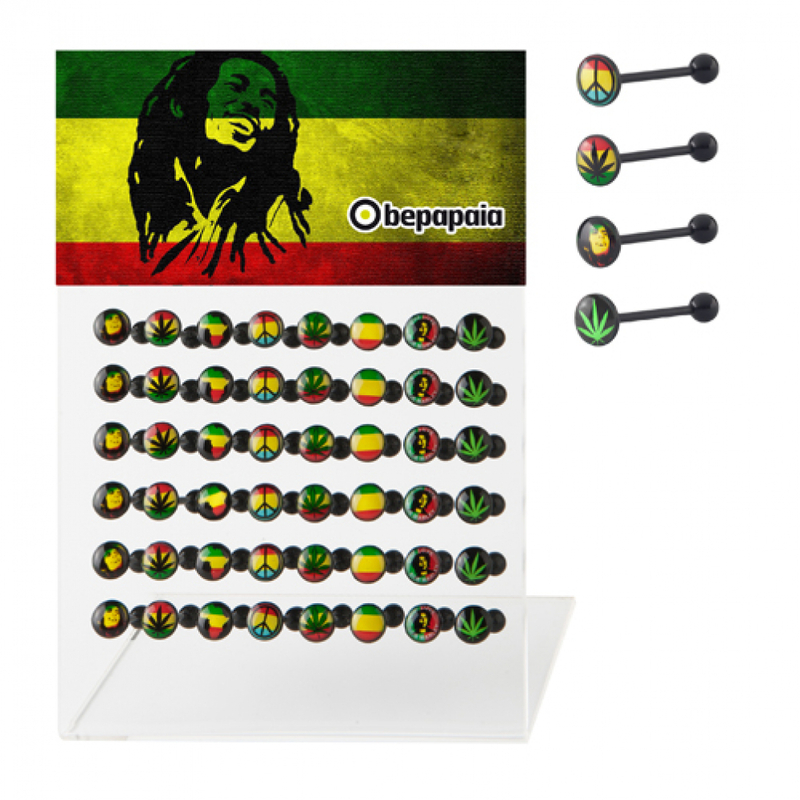 Bioflex tongue barbell with rasta print assorted designs. 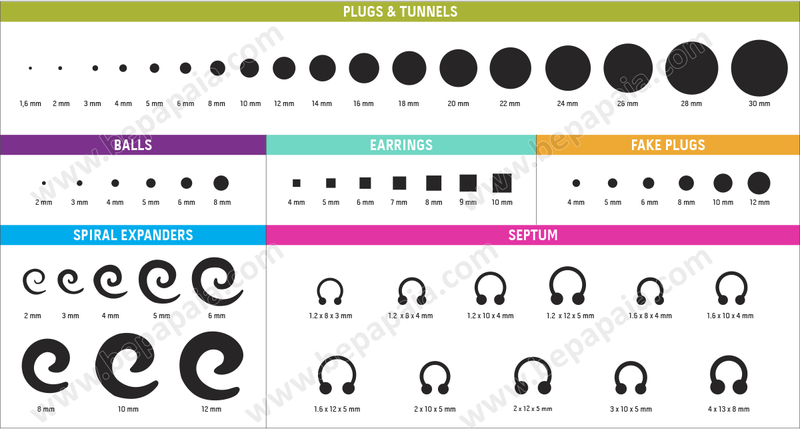 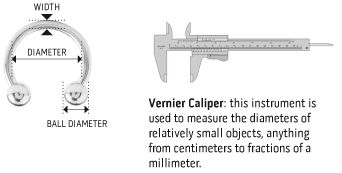 Size: 1.6 x 16 x 5 mm. 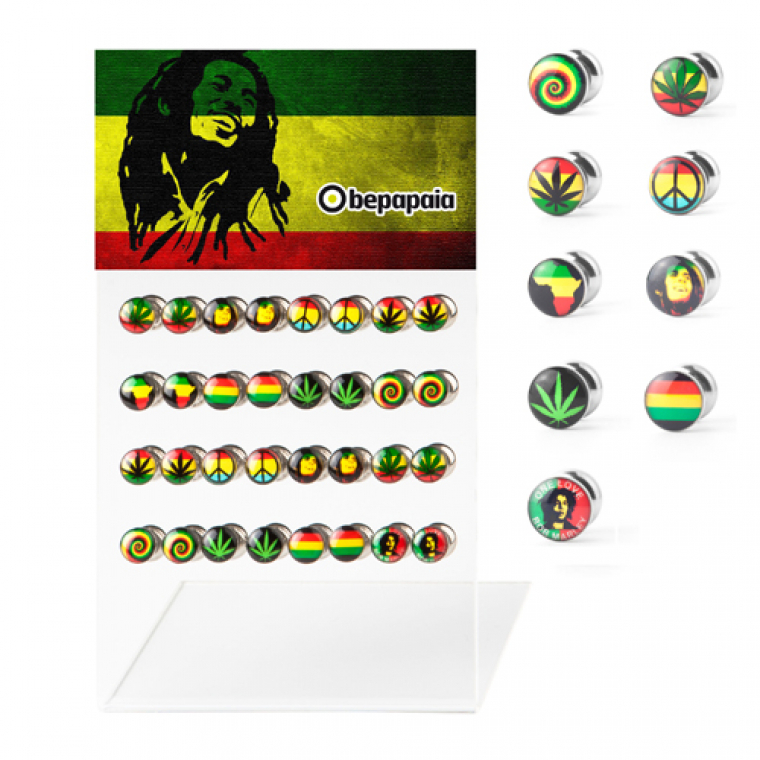 Jamaican vibrations! 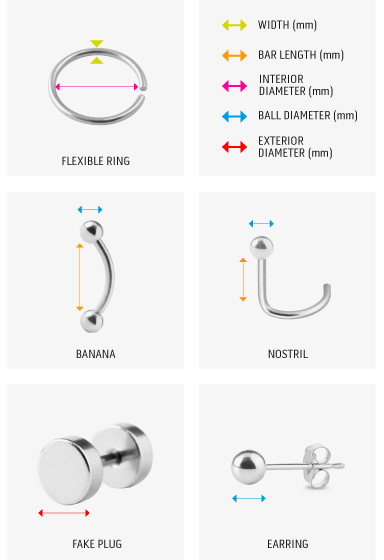 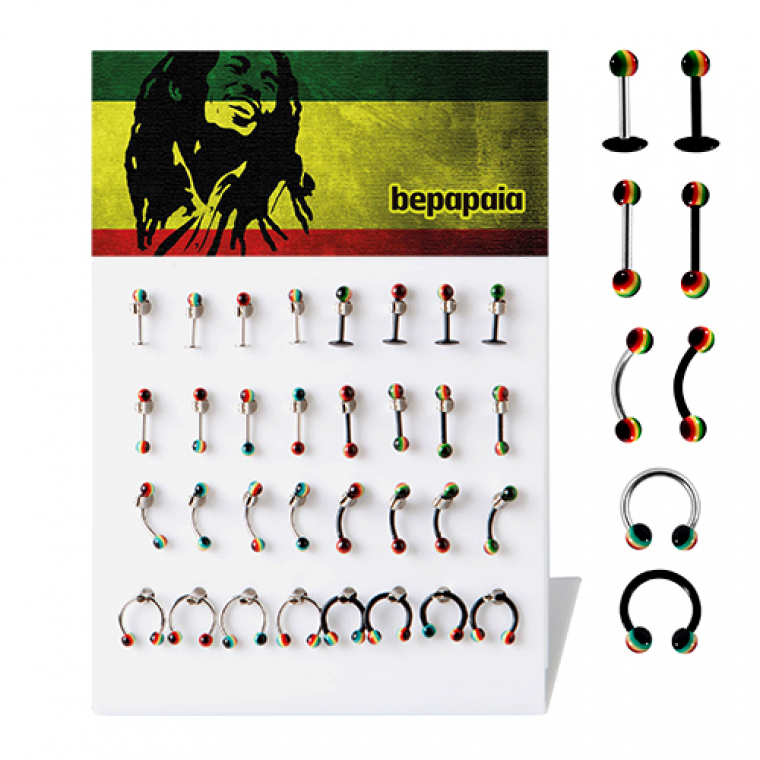 Be Rasta and in Wholesale piercing.